I'm back with another fantastic appetizer idea! In my opinion, you can never have too many appetizer ideas right? I mean, especially with all of the Big Games coming up, because food and watching football go hand in hand. So it's time to make your shopping list and head to the store. 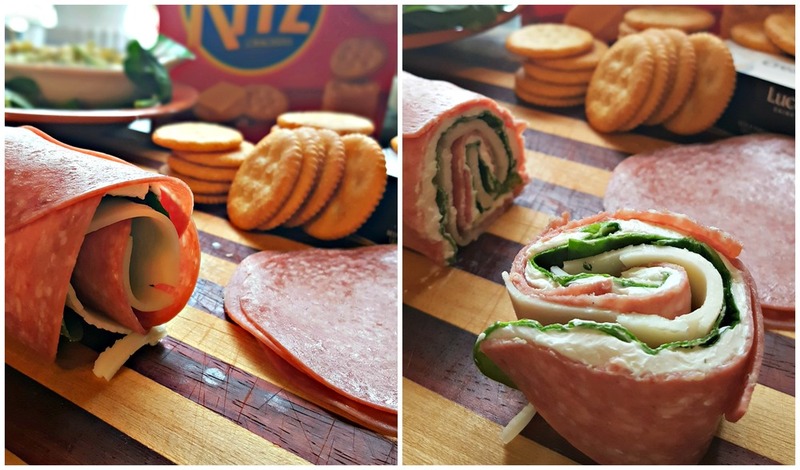 Today I am sharing a super delicious and easy pinwheel recipe that is perfect when sitting on top of a RITZ® cracker. Okay, first things first. I headed straight to Albertsons and was able to mark two items off of my list as soon as I walked in, RITZ® crackers and Coca-Cola were right up front, it must have been a sign. 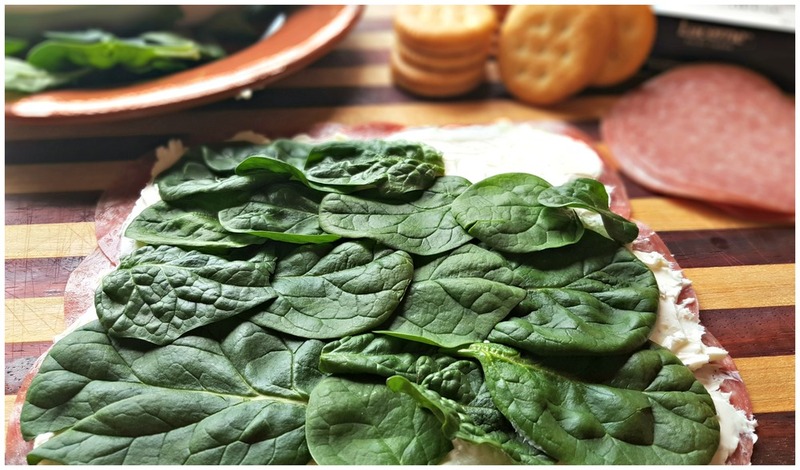 I love Albertsons for their deli and produce options so I was so happy to pick up freshly sliced Salami and provolone and then grab spinach, chives and avocados from the produce section. After that all I needed was cream cheese. Done! Step 5: Slowly Roll from one side to the other. I made it super easy for you to try this recipe, you can just watch the 6 steps with description on the slideshow above, or you can see the steps here. 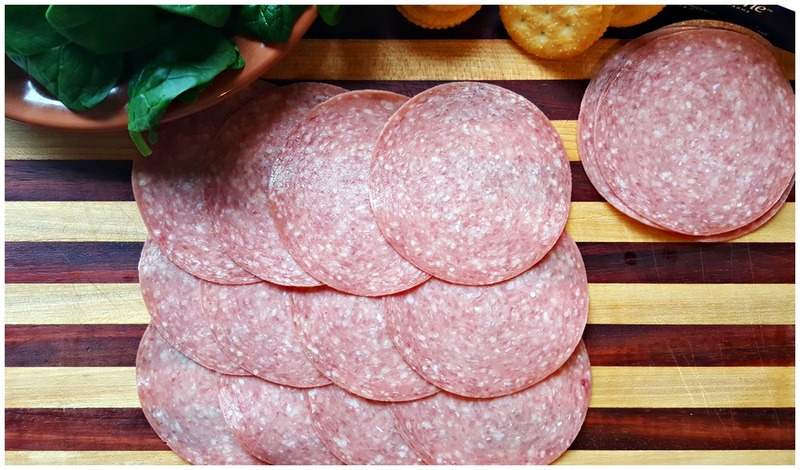 Step 1: Lay out and layer salami. Step 2: Spread cream cheese over the salami. Step 4: Add layered provolone cheese. Step 6: Slice and place on top of RITZ® crackers. 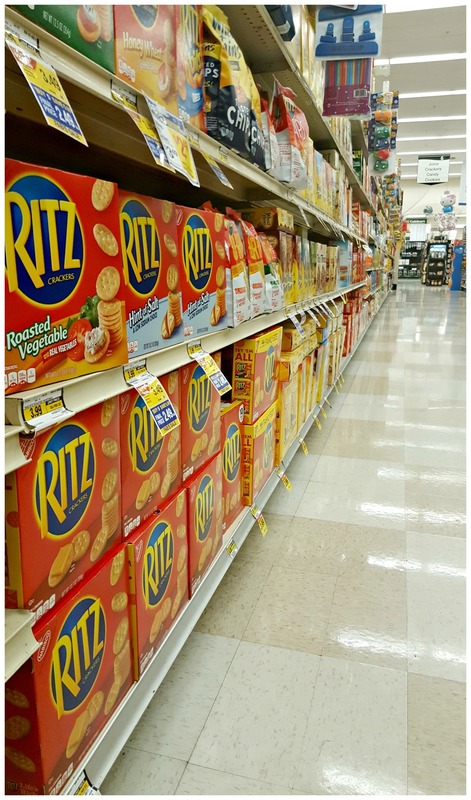 There are a lot of options when it comes to RITZ® crackers, but you can't go wrong with original. Coca-Cola! Ah, you can't go wrong with the nice crisp flavor that you get from a cold bottle of Coca-Cola. To me, it really doesn't matter which team your rooting for, because everyone will always agree on one thing; watching football (or any game really) is always better with good food and drinks. If you noticed, I used the avocados that I picked up from Albertsons to make some guacamole. A dab of guacamole was delicious on top of the pinwheels, but it also goes really well as a dip for original RITZ® crackers. 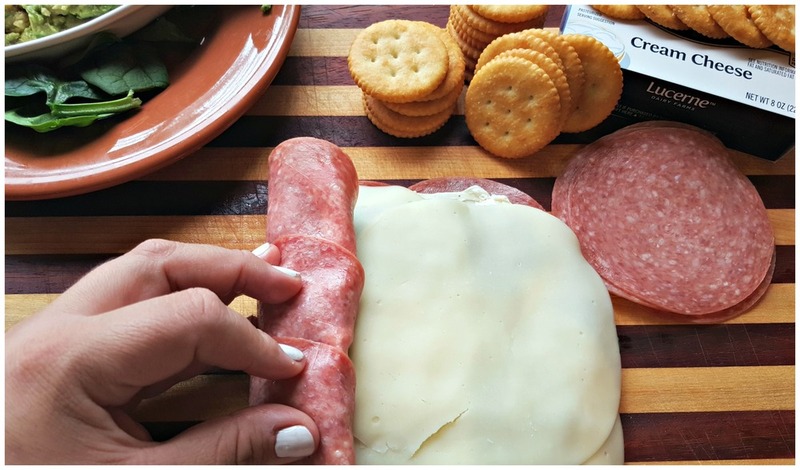 For more fun game day recipes or party planning tips check out the Coca-Cola Mondelez partnered Home Bowl website and head over here for more RITZ Crackers recipe inspiration. As we slowly get over the holidays and the novelty of the New Year, we can finally start getting on with our year and ready for the big game days coming up. I LOVE planning my game day menus and collaborating with my family about what food to make. 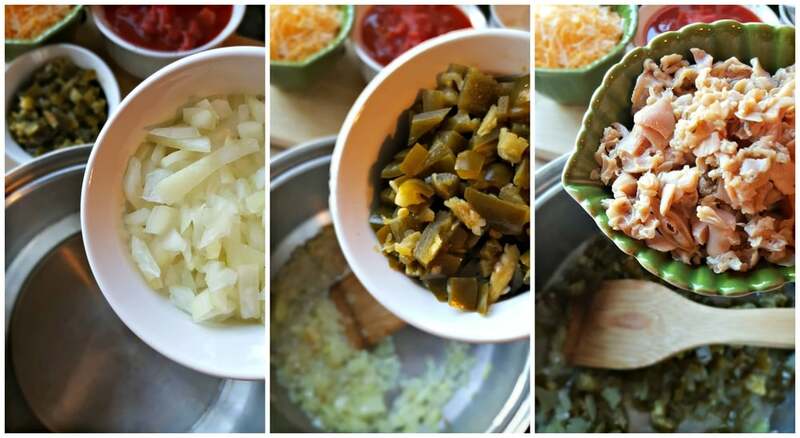 Today I'm sharing my recipe for a Hot and Spicy clam dip. This is an old family recipe that my grandma shared with my mom years ago. This spicy dip was always a favorite at family parties and today, I'm glad to share with you. In our house during football season, we are always cheering for opposing teams just to make things more interesting. For me though, I chime in and watch here and there, but mostly I am in the kitchen cooking up some delicious food. When I do my weekend shopping, chips and dips are always top on my list. So when I'm shopping at our neighborhood Food 4 Less, I make sure to pick up La Morena Jalapeño's to have on hand. La Morena has been around for as long as I remember. It's kinda just a natural gesture to add it to the shopping cart. To make this delicious, hot and spicy dip all you need to start is a pan and a little bit of oil. Heat oil in a pan and add onions. Stir and cook until the onions become tender and clear. Add La Morena Jalapeño's and cook until heated through a bit (about 3 mins on Medium heat). Next add clams and diced tomatoes to the already heated onions and jalapenos. Stir and heat through on Medium-High heat for 20 minutes. Last, add cheese and stir until melted. That's it! Serve with your choice of tortilla chips. I like the dipping cups for a hearty dip like this and it helps when you are watching a game, to not have to look at your chip the whole time it travels from bowl to mouth. Oh and you have to top with more cheese, because... cheese. 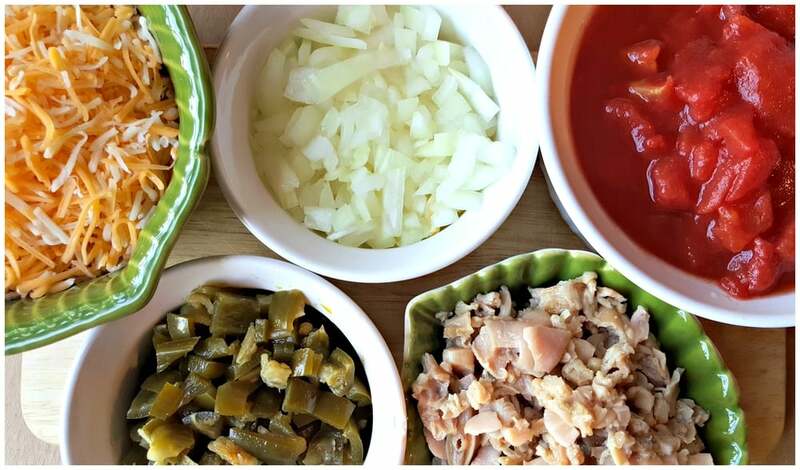 You can go here for more products from La Morena as well as more recipe ideas. So tell me in the comments below, What is your favorite Game Day Food?